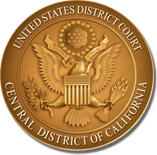 The United States District Court, Central District of California, recognizes the extraordinary efforts of the attorneys who volunteer their time and energy to the pro se clinics located in each of the three divisions within the district. The current and future success of these clinics would not be possible without the support and commitment of the three public interest law firms that administer the clinics (Public Counsel in Los Angeles, Public Law Center in Orange County, and Public Service Law Corporation in Riverside), and the many volunteer attorneys who staff the clinics. Without the efforts of these organizations and individuals, self-represented litigants in the district would be without the critical services and assistance provided by the pro se clinics. The Court thanks each of the following individuals on the Honor Roll of Volunteers for their current and continued support in serving self-represented litigants in our district.